HomeWhere do dogs go when they’ve gotta go? 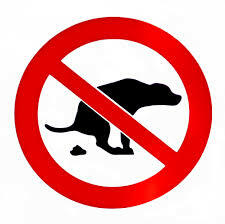 Where do dogs go when they’ve gotta go? Since I posted last week’s description of the continuing education seminar I attended with 80 guide dog teams, I just know that there is a burning question in many readers’ minds. People who work with guide or service dogs always get this question when traveling, and I am sure that the idea of 80 guide dogs in one hotel raises it too: where do they go? So here’s the answer. The conference team hired a professional scooping crew. Scoop Masters, otherwise known as Tim and Maria Stone, have handled many a guide dog convention. And in case anyone is wondering, the Guiding Eyes dogs had hardly any accidents — less than half the accident rate of a recent guide dog users conference with, you know, dogs from other schools. Just saying. Scoop Masters alight the day before the conference and case the joint. They figure out the best spots for doggy break areas and set up. They purchase supplies. Sometimes they actually assemble what is essentially a giant wooden litter box filled with absorbent material. At our conference, they didn’t have to do that; the hotel management allowed the dogs to use the grass. Scoop Masters set up bag stations and trashcans. They had scoops and buckets, poop bags galore, paper towels, enzymatic cleaner to clean and deodorize indoor accidents … essentially a giant version of the puppy accident kit that experienced puppy raisers know to take on any socialization field trip (it takes only one field trip to become experienced, by the way). Volunteers provided pickup assistance when needed. Scoop Masters replaced trash bags and poop bags and did spot checks periodically. That’s really all there is to it. The main reason they were there was to take care of any accidents and emergencies. They are on-call around the clock in case a dog becomes ill or a team doesn’t make it outside in the middle of the night. There were very few accidents and no emergencies. Such good dogs! This is a serious business, though. Besides the conference and special event service, Scoop Masters — and others like them — provide their services to homeowners’ associations, condo and apartment buildings, and even individual homeowners. They can set you up with waste stations and even provide DNA testing programs to identify scooping scofflaws. So if you’ve ever wondered why we don’t all step in it more often … thank Scoop Masters. Sweet. You should get an ad for your blog out of this!